NPCIL Assistant Recruitment: For complete details regarding the NPCIL Assistant Grade – 1 posts eligibility refer the NPCIL official website. You can check the NPCIL Asst Grade 1 Jobs Notification on our page recruitment.guru. Check More Sarkari Jobs Updates here. Aspirants who are looking for the Latest Central Govt Jobs can check the NPCIL Assistant Grade 1 Notification. The NPCIL is looking for the eligible candidates for the Assistant Grade 1 Vacancies. Aspirants can check the NPCIL Assistant Grade 1 Jobs Notification on our page recruitment.guru. Check the complete description regarding the NPCIL Asst Grade 1 Vacancies Details below. For Assistant Posts: Candidate must possess Bachelors Degree in Science / Commerce stream with 50% marks. For Stenographer posts: Applicants must possess Bachelors Degree in any discipline with 50% marks and good English stenography speed. The Applicants of the NPCIL Special Recruitment will be taken for the respective posts based on their performance in the following rounds. Eligible candidates have to complete the application process for the NPCIL Assistant Recruitment 2016 before the due date. Applicants have to submit the NPCIL Application Form to the following postal address before the final date 27th December 2016. Firstly, carefully read the NPCIL Notification 2016 available below. Check the Eligibility conditions for various posts. Now, fill the application form affixed below the notification. Complete the Application process before the last date. Submit the NPCIL Application to the above postal address on or before 27/12/2016. Take the copy of the Application for future reference. Therefore, NPCIL Asst Grade-I Recruitment 2016 Vacancy details are tabulated above. Go through the NPCIL Assistant Grade-I Jobs Notification for any doubts regarding the vacancy details. For more details about Eligibility conditions of NPCIL jobs of Assistant Grade-I, Stipendiary Trainee jobs click on below link. Through below link, you can get Notification and Online application link. NPCIL Recruitment 2016 Notification released for filling of 56 NPCIL Assistant Grade- 1 Jobs. The Online Application procedure for NPCIL Asst Grade 1 & Steno Recruitment 2016 is started. Candidates can apply online for the NPCIL Asst Grade 1 jobs on or before the final date 31st December 2016. The Detailed NPCIL Assistant Grade – 1 posts Recruitment Notification is available on official website. Also, you can check the NPCIL Recruitment 2016 Notification on our page recruitment.guru. Candidates searching for Engineering Jobs have to utilize this opportunity of NPCIL Recruitment 2016 Notification. The Nuclear Power Corporation of India Limited has recently issued the Notification to fill 56 Assistant and steno Garde 1 posts. Aspirants who are eligible to apply for the NPCIL Jobs have to fill the online application on or before the last date i.e., 31/12/2016. Eligible Contenders can apply to this NPCIL Asst and Steno Grade 1 Jobs through NPCIL Recruitment 2016 Notification. Applicants who have completed Bachelors Degree in any discipline are eligible to apply for this Assistant and Steno Grade 1 posts. The Detailed NPCIL Notification is available on the official website. Interested individuals who are looking for Central Government Jobs can grab this golden opportunity in the form of NPCIL Assistant Jobs. The NPCIL Assistant & Steno Grade 1 Notification is available on our page recruitment.guru. Other Details regarding the NPCIL Vacancy Details, Age Limit, Educational performance, Selection procedure, salary, etc. is available below. Organization Name: Nuclear Power Corporation of India Limited. No of Vacancies: 56 Posts. 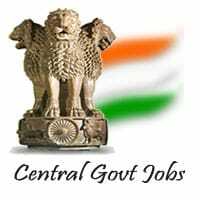 Job Category: Central Government Jobs. Age Relaxation is applicable as per the rules. For Assistant Grade 1 Posts: Candidate must possess Bachelors Degree in Science / Commerce stream with 50% marks. For Steno Grade 1 posts: Applicants must possess Bachelors Degree in any discipline with 50% marks and good English stenography speed. The Applicants of the NPCIL Recruitment 2016 will be shortlisted based on the following process. Starting Date for Submission of Online Application: 26/10/2016. Applicants who wish to apply for the NPCIL Asst grade 1 jobs can carefully read the NPCIL Notification before applying. The NPCIL Jobs Online Application Link is available at the official website. Candidates can also collect the NPCIL Online Application from our site with an attachment below. Applicants have to complete the NPCIL Assistant, Steno Grade 1 posts online process on or before the last date that is 31st December 2016. Firstly, carefully read the NPCIL Assistant Recruitment Notification. Check whether the NPCIL Asst Grade 1 Jobs eligibility criteria satisfied or not. Click on NPCIL Assistant Grade 1 Posts application. Fill the Application with complete details. Submit the Application to the below mentioned postal address before the due date. I applied for finance post. more than 2 months were over.. No update from NPCIL..If anyone received admit card for written test, please share here….